Washing your face feels good. It wakes you up, makes you feel fresh and clean and ready to face the day, and can help clear up certain skin issues. 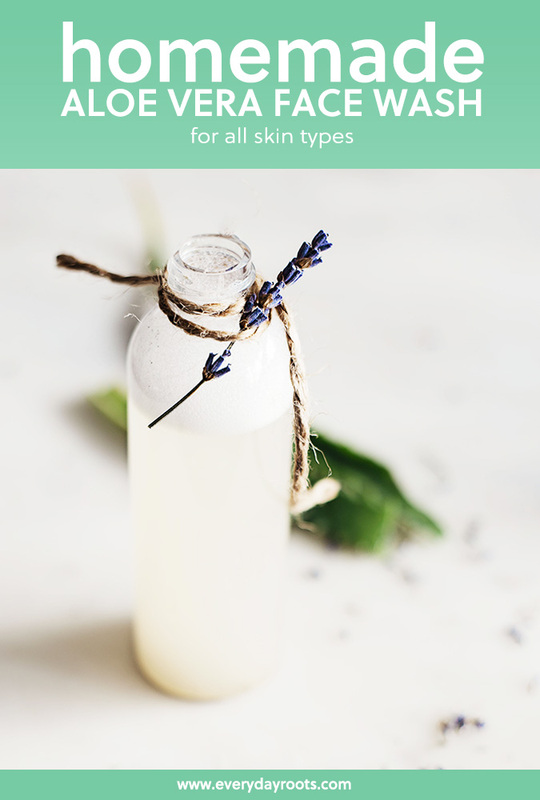 This particular face wash is quite simple, and I have found that it works well on all types of skin, from dry to oily to combination (oily and dry at the same time-it defies all reason and is extremely frustrating!). Second, feel free to tweak the recipe. A nice lemon, lime, or orange essential oil is nice if you’re looking for a wash that will perk you up in the morning. You may need to order a few things since most people don’t have the ingredients lying around there house-but that’s the beauty of the internet isn’t it? Why Aloe Vera Gel: The real question here is, why not aloe? It’s a great go-to for anything skin related, helping to heal abrasions to soothing sunburns. Aloe gel contains glycoproteins and polysaccharides. Polysaccharides are vital to help with skin growth and repair, as well as retaining moisture. Glycoproteins are, simply, a carbohydrate attached to a protein. There’s a lot of talk about them reducing wrinkles, but I wouldn’t go that far. But when combined with polysaccharides, they form substances that compose the skins intercellular matrix, which keeps skin cells and structure intact. Basically, intercellular matrix is a fancy way of saying the stuff that holds layers of skin cells together. It keeps moisture in, and bad things out. For the record, there’s more to the intercellular matrix than just glycoproteins and polysaccharides, but that’s information for another day. On top of this, aloe helps fight inflammation, which can be useful if you experience painful cystic acne. Why Castile Soap: Pure castile soap is vegetable oil based, as opposed to tallow (animal fat) based. It’s gentle and efficient, and removes make-up, dirt, sweat, and excess oils from your skin. 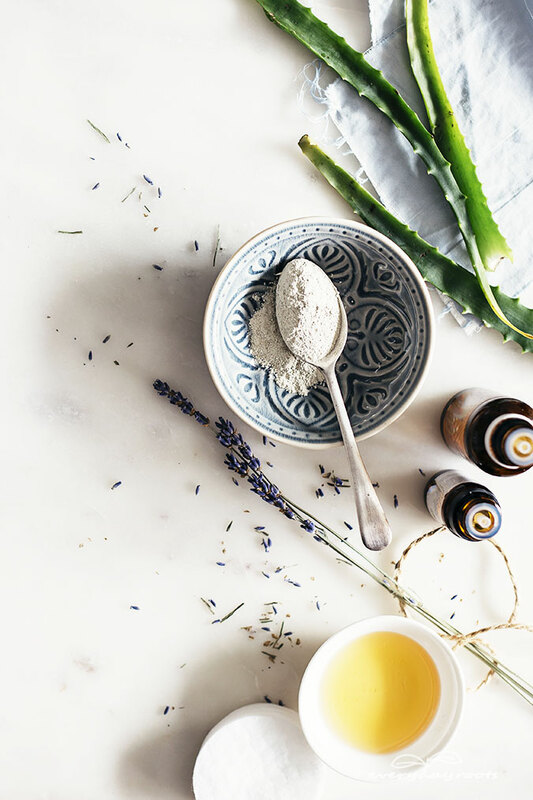 It’s the main cleanser in this wash.
Why White Clay: Cosmetic clays are the cherry on your skin care sundae, and white clay is the mildest and most common form of them all. It is mildly abrasive to help exfoliate the skin and stimulate circulation, but is not drying. 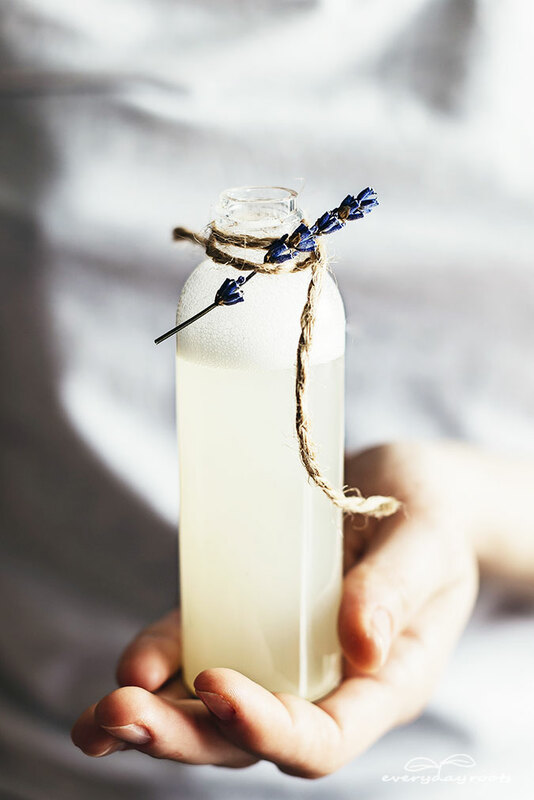 Why Lavender Essential Oil: Soothing, relaxing, non-irritating, and healing, lavender essential oil adds all of the above benefits and more to this face wash. Combine all of your ingredients except the clay in your bottle and shake well. Add the clay, and shake well again. For use, wet your face with water and pour a dime to quarter sized amount of cleanser into your hands. Use it like you would any other face wash-rub in gentle circular motions for a bit and then rinse clean. Follow up with a gentle moisturizer if your skin tends to feel dry after washing.